KARIM NAGAR. 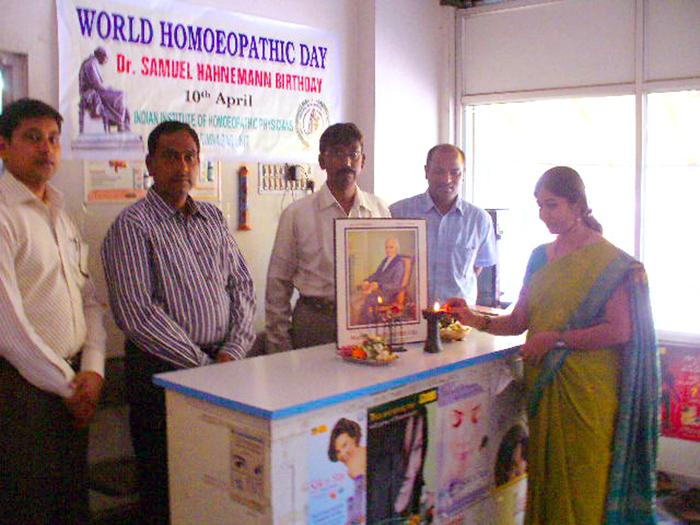 APRIL.10: The IIHP Karimnagar unit organized the World Homoeopathic Day celebration to commemorate the 255th birth anniversary celebrations. Dr.Murali Ravikanti, president of the unit organized this event. Dr.Nomula Satyanarayana Reddy, Dr.K.Dayakar, Dr.Bingi Satyanarayana, Dr.Pippari Ravikumar, Dr.M.Surender Reddy, Dr.Yakob, Dr.Siddam Haritha, and Dr.K.Sai Prasad and well wishers of Homoeopathy participated.